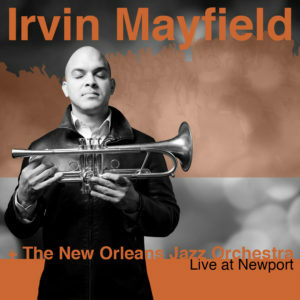 Irvin Mayfield, the consummate New Orleans musician, is a man on a mission. Although only 29 years old, the versatile trumpeter, bandleader, composer and arranger is driven to spread the word about the rich history and cultural significance of jazz and the city that birthed it. 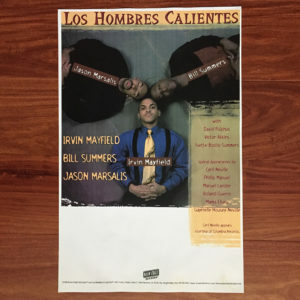 Appointed the Cultural Ambassador of the City of New Orleans in 2003 by the United States Senate, Congress and other governmental agencies, his name has become synonymous with the still-unfolding legacy of America’s only indigenous music. Even after Katrina—especially after Katrina, which took the life of his father, Irvin Mayfield, Sr.—this tireless Renaissance man considers jazz nothing less than the manifestation of all that American democracy represents. 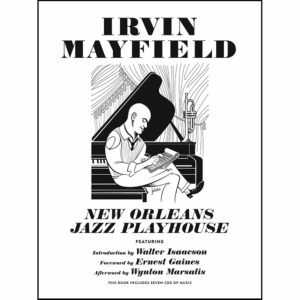 Within the freedom that is so intrinsic to jazz, Mayfield sees the story of America. In its myriad rhythms and personalities, he finds the oversized soul of New Orleans. Irvin Mayfield, whose extensive discography stretches back nearly a decade, is rooted firmly in the present, but he has benefited enormously from studying that which came before. 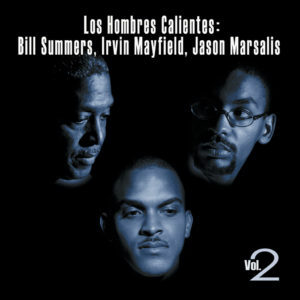 He has absorbed the music of the giants; particularly the trumpeters who have helped define the course of jazz over the decades and set Irvin on his own journey of exploration: Louis Armstrong, Miles Davis, Clifford Brown, and Dizzy Gillespie. He considers Wynton Marsalis—another promoter of the great heritage of New Orleans—a mentor. 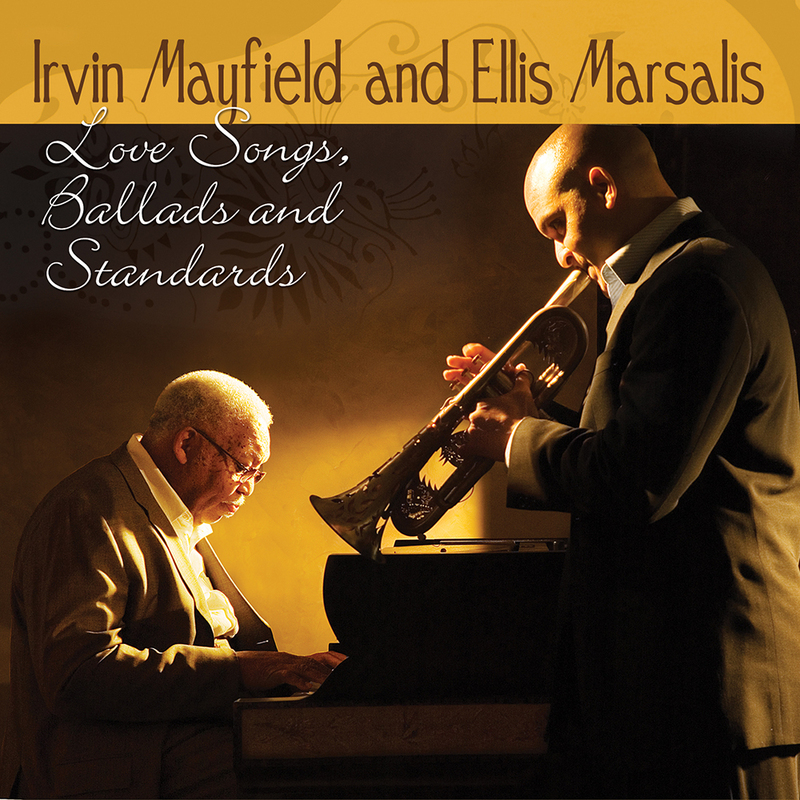 Irvin was only 9 years old when Wynton was at the height of his career, but Irvin’s relationship with the Marsalis family goes way back. Ellis Marsalis performed on Irvin’s debut album and now the pair has collaborated again, this time on Irvin’s new exquisite solo album, to be released on, February 5th, 2008, titled Love Songs, Ballads and Standards. 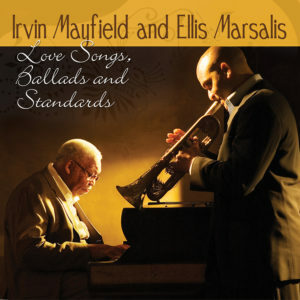 Outside of his family, Ellis Marsalis has never collaborated with any artist other than Mayfield. The recording, on Basin Street Records, features the Louisiana Philharmonic Orchestra and spotlights Irvin’s interpretations of classic songs made famous by the Beatles, Thelonious Monk, Norah Jones, Stevie Wonder, Duke Ellington and others.